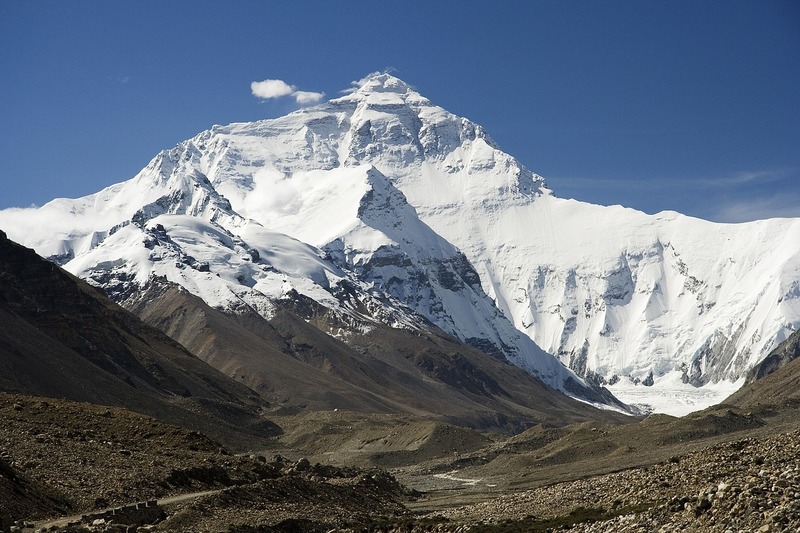 Mount Everest is a key destination for advanced climbers, as it is the highest peak on the planet. Its height equals 8.848 meters (29.029 feet) and lies directly on the border between China and Nepal. The second name of this peak is Chomolungma (from Tibetan). The peak is a part of the Mahalangur range, and may be climbed from both Chinese and Nepalese sides. The most popular way to climb this peak is from the side of Nepal, however. It is curious that the height of this mountain increases about 40 cm every century, as due to seismic activity the plates slide under the mount and uplift its peak. Everest is one of the most dangerous places on the planet, as it is reported to have taken over 200 human lives as of 2016, with the death rate being 1/15. The main cause of deaths in this area is ice falls and avalanches. The most dangerous area is the Khumbu Ice Fall, as it is known to have caused the death of over 20 people. Also, the danger here is caused by rarified air, which contains only 1/4th part of oxygen, compared to the air at sea level. Average cost of an expedition to this peak is $30,000. This price includes government permit cost and service of the local people, Sherpas, who are hired to carry luggage and supplementary oxygen.